C.F. 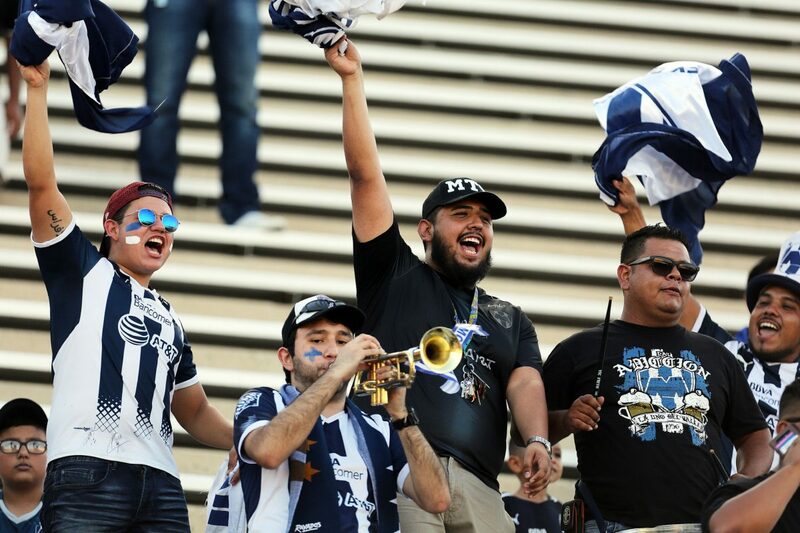 Monterrey fans cheer on their team as they play against Cruz Azul in an exhibition game at McAllen Veterans Memorial Stadium on Tuesday, July 3, 2018, in McAllen. McALLEN — Fans in the blue and white stripes of Rayados and in the iconic blue and red of Cruz Azul were treated to an entertaining night of soccer Tuesday at McAllen Veterans Memorial Stadium as the two Liga MX giants played a preseason exhibition for their RGV faithful. The game was won in the 43rd minute, when Rayados forward Dorlan Pabón hit home a low cross with a first-time strike past Guillermo Allison to build the 1-0 lead that would stand as the final. The action was intense on the field from the start. Both teams traded chances in the first 45 minutes of play, but Cruz Azul didn’t have the finish around the box to break through. Each side was well-represented in the crowd. Children, the elderly and everyone in between were wearing jerseys and hats, anticipating the matchup. The Mexican national team jersey was another popular outfit. C.F. 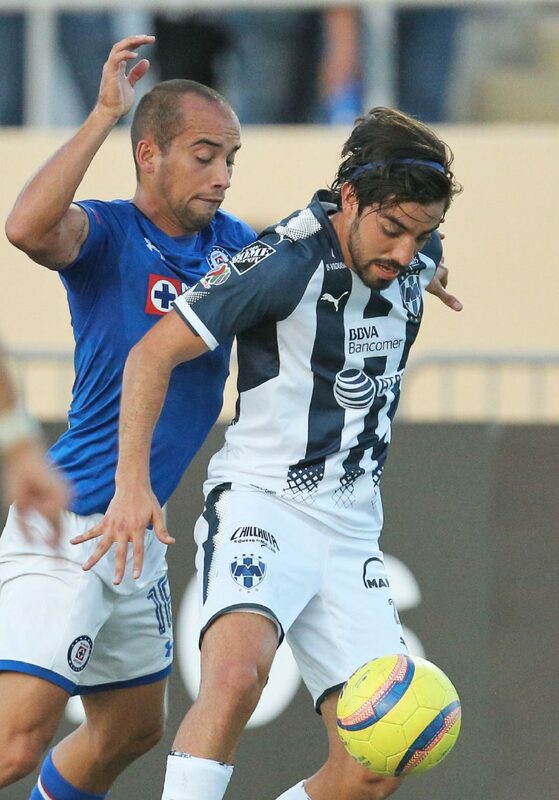 Monterrey's Nicolás Sánchez (4) heads the ball against Cruz Azul in an exhibition game at McAllen Veterans Memorial Stadium on Tuesday, July 3, 2018, in McAllen. C.F. 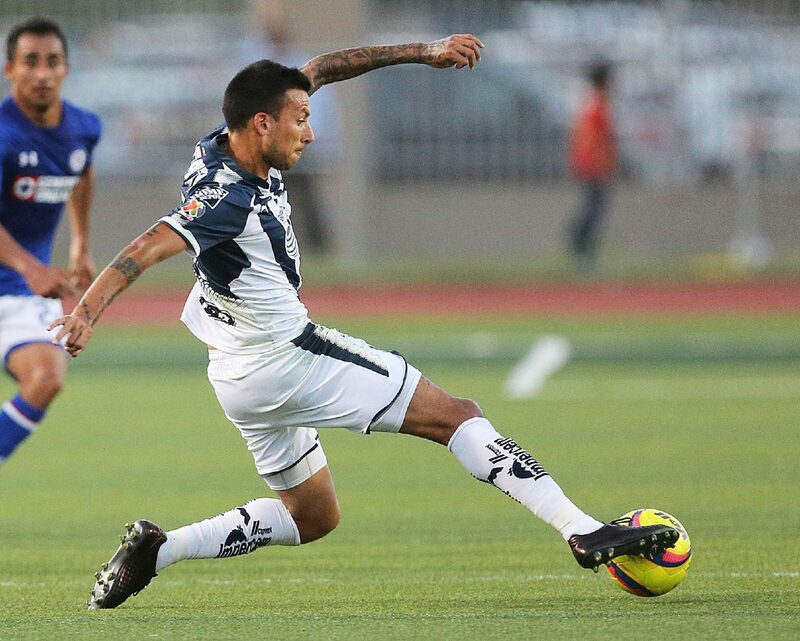 Monterrey's Leonel Vangioni (11) takes control of the ball against Cruz Azul as he plays in an exhibition game at McAllen Veterans Memorial Stadium on Tuesday, July 3, 2018, in McAllen. C.F. Monterrey's Rodolfo Pizarro (20) keeps the ball from Cruz Azul's Adrián Aldrete (16) as they play in an exhibition game at McAllen Veterans Memorial Stadium on Tuesday, July 3, 2018, in McAllen. Cruz Azul's Gerardo Flores (15) advances the ball as he plays in an exhibition game against C.F. Monterrey at McAllen Veterans Memorial Stadium on Tuesday, July 3, 2018, in McAllen. Almost an hour before the game, Guillermo Ibarra-Fernandez of Pharr was standing with a group of Cruz Azul fans, all donning jerseys and covered with a team flag like a blanket. Though the Rayados’ home grounds of Monterrey is closer to the Valley than Cruz Azul’s home of Mexico City, plenty of fans in attendance Tuesday were cheering for la maquina de Cruz Azul. Ariel Gonzalez from Mission was wearing Monterrey colors with his wife, seated around midfield and ready for the game about an hour early. On the pitch, both teams put on a strong effort. Neither played as if they were in an exhibition match, probably because the Liga MX Apertura season opens later this month. The match was characterized by a slew of near misses for both sides that drew big reactions from the crowd. 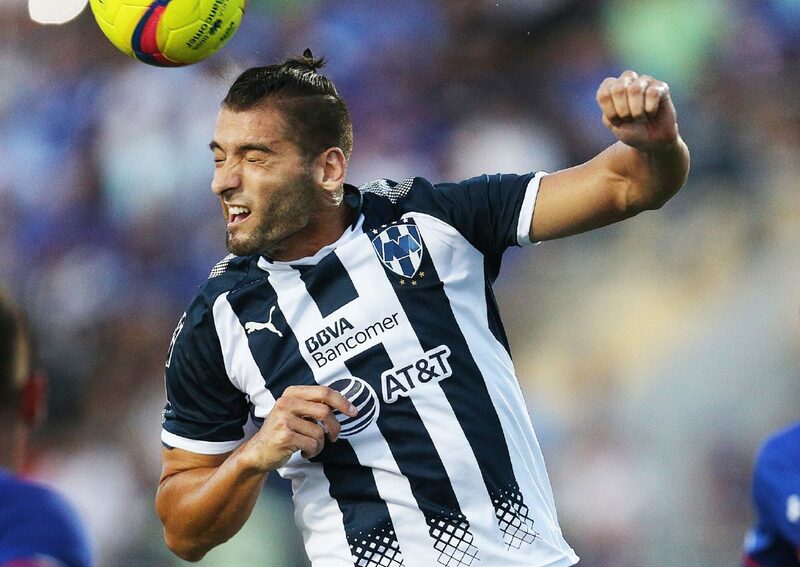 Rayados had the first close chance with a header that was barely kept out in the 15th minute, then Cruz Azul threatened with a shot that just missed in the 17th. During the second half, Allison was tested again multiple times but showed his skill with numerous saves to keep the margin at one. Cruz Azul fizzled out as time went on. 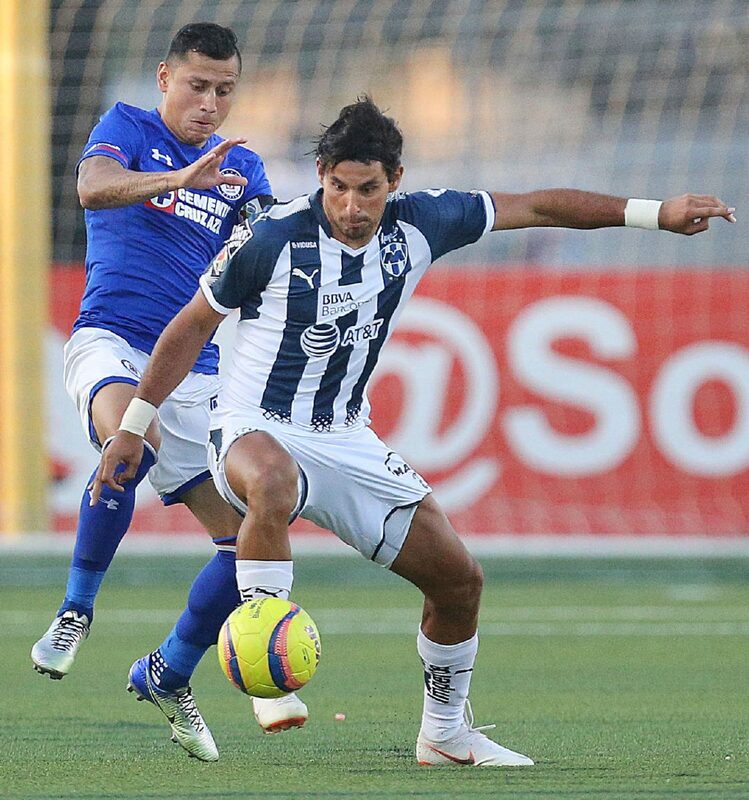 Their grade-A chances came less frequently, and Monterrey looked poised to score next. Daniel Lajud just missed a shot high to extend the lead. In the 91st minute, in what became the team’s final chance, a Cruz Azul forward skied a shot over the crossbar. 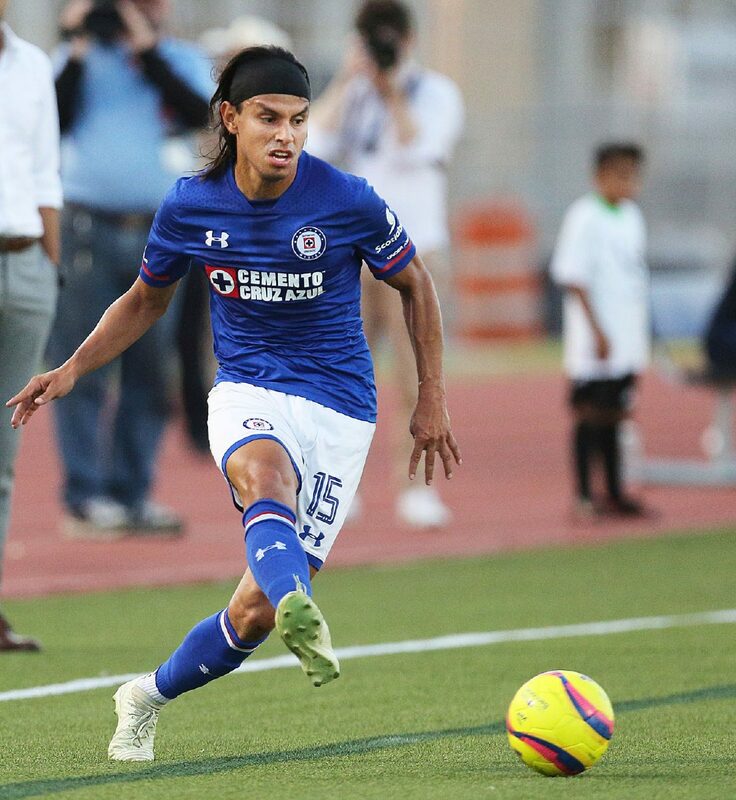 Despite the loss, Cruz Azul fans made noise on their way out of McAllen Veterans Memorial Stadium and crowded the path from the field to the locker room to try to catch a glimpse of their idols. Rayados fans walked out with heads held high and early bragging rights on the season.